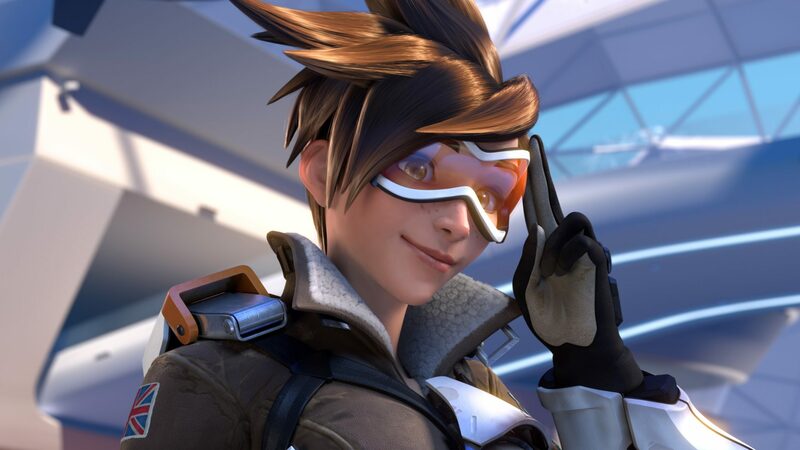 Overwatch is one of the best Game that gives an unlimited fun while playing the game. When I started the game, I couldn’t stop myself from playing the game again and again. 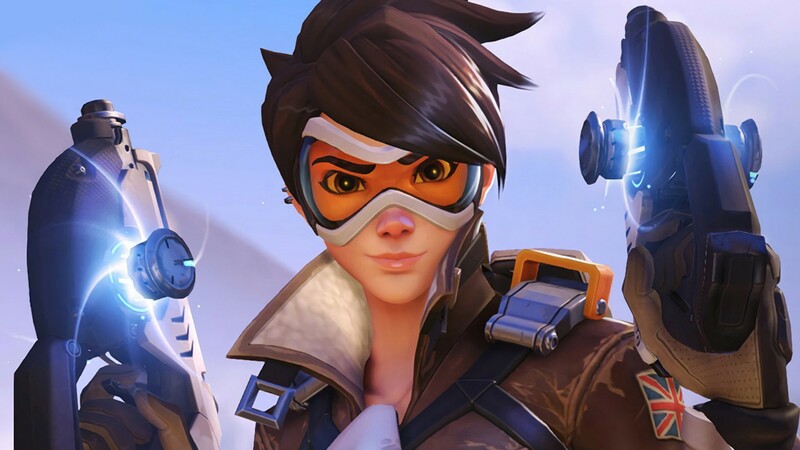 The game is a team-based multiplayer online first-person shooter video game developed and published by Blizzard Entertainment. 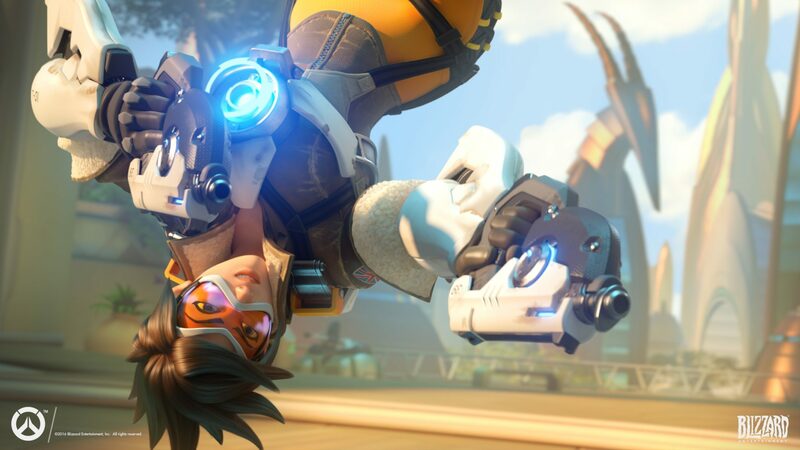 Overwatch is available for PlayStation 4, Xbox One and Microsoft Windows Platform. The game is also known for their graphics which gives an extreme edge to the game. 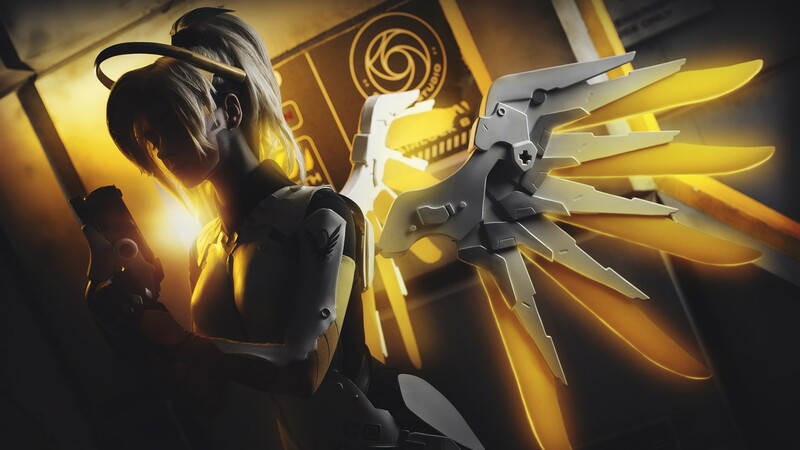 I was looking for the overwatch wallpaper HD for my Desktop, and Luckily I found some. They are amazing and make a screen very attractive. So I thought I should share with you the wallpapers. 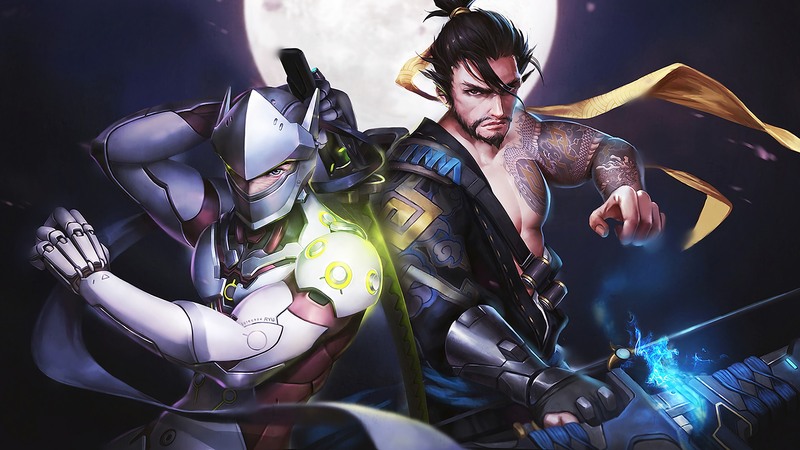 The basics of the game are to choose characters and make two teams of 6 characters each. Both the teams have to work together to protect and defend the controls points in a given amount of time and Vice versa. All the characters have different play style, so the player has to the character on which he/she is best at controlling. All the images are in HD quality. You can download by right click on the image if you want to download in less size and Low quality. But if you want in Full HD, then the Google Drive link is given below the image. Just follow the link and download the Image. If you want to download the wallpaper in batch from Google Drive the link is available at last. 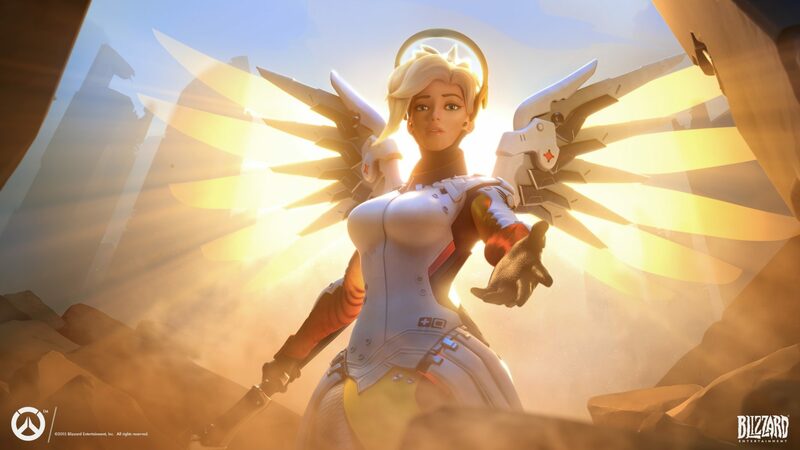 It’s better than downloading one overwatch wallpaper one by one. 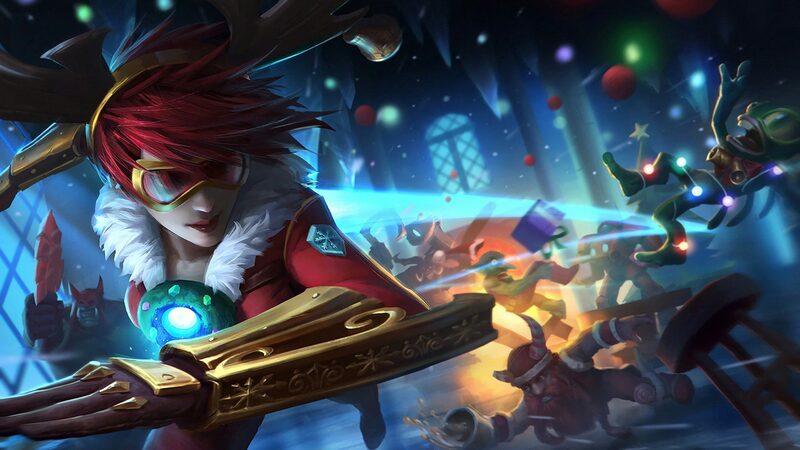 If you want a wallpaper of any specific character then you should go one by one. 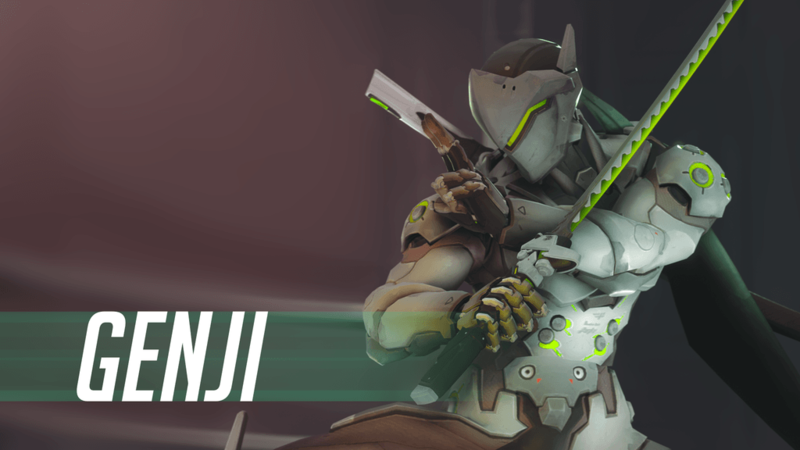 Genji is an offensive mode character, the developer has done a really good job with this cool character setup. 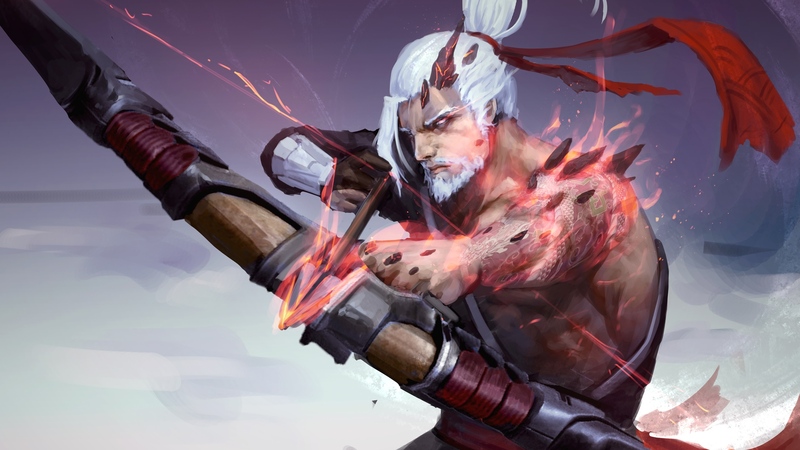 The main equipment at he is best is stars and katana. 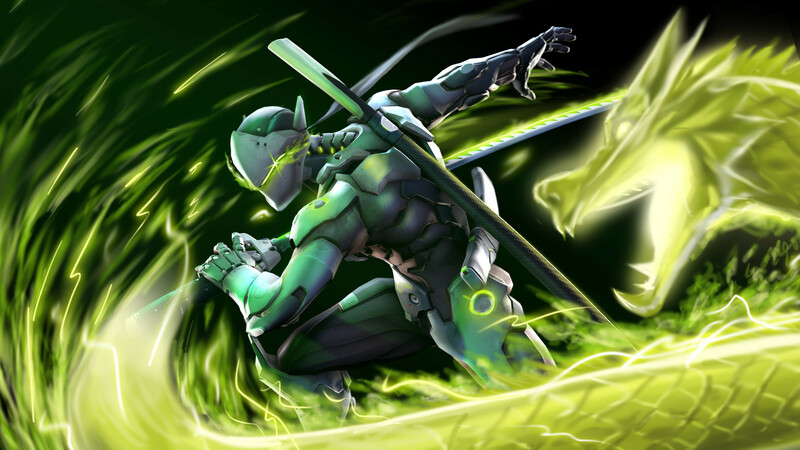 His main abilities are Shuriken, Deflect, Swift Strike, and Dragonblade. 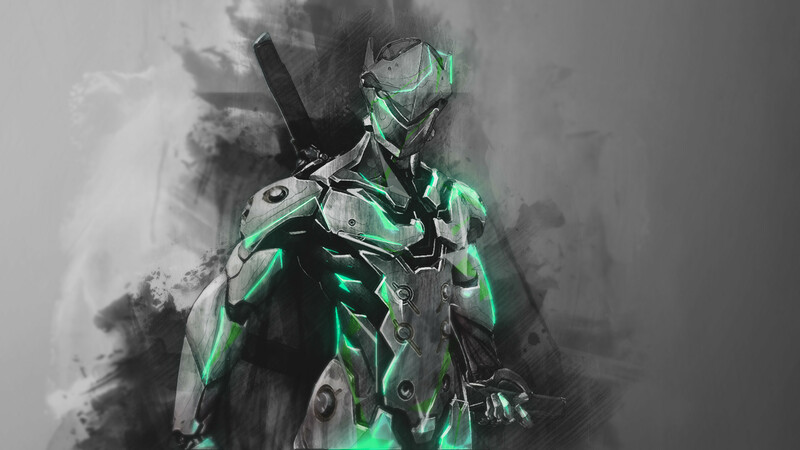 So enjoy Genji overwatch wallpaper. 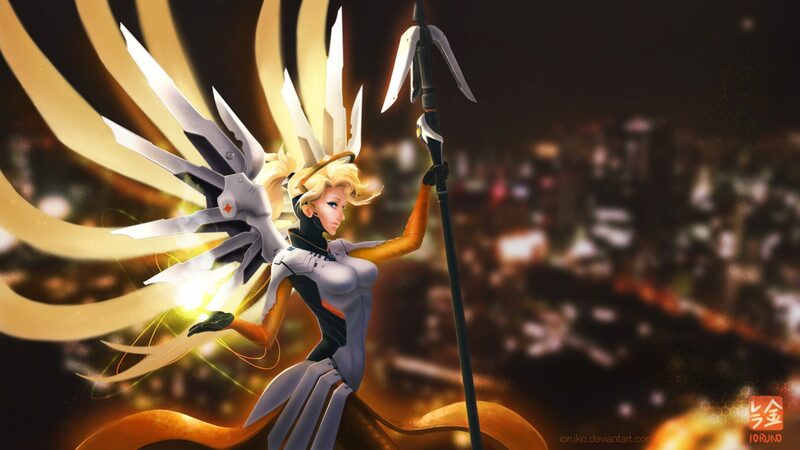 The real name of the character mercy is Angela Ziegler. 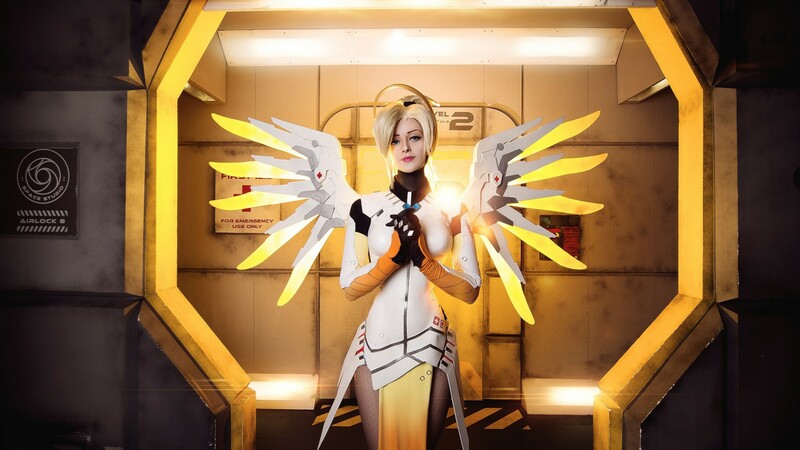 She helps other characters in healing and strengthening. 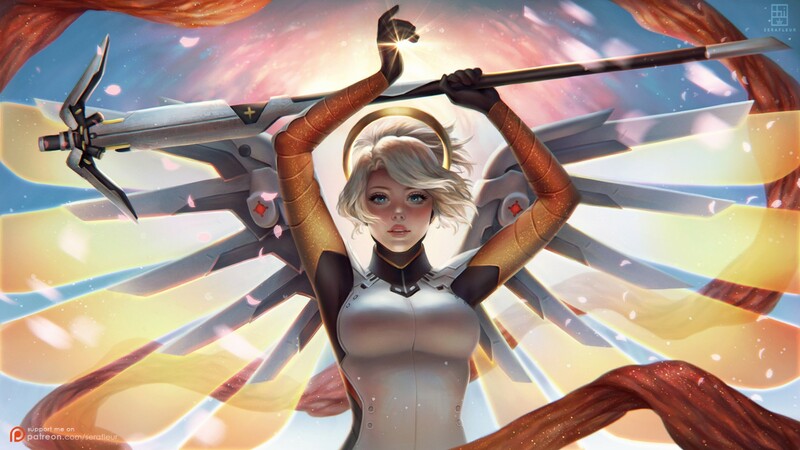 The main abilities of mercy are Caduceus Staff, Caduceus Blaster, Guardian Angel, Resurrect, Angelic Descent, and Valkyrie. 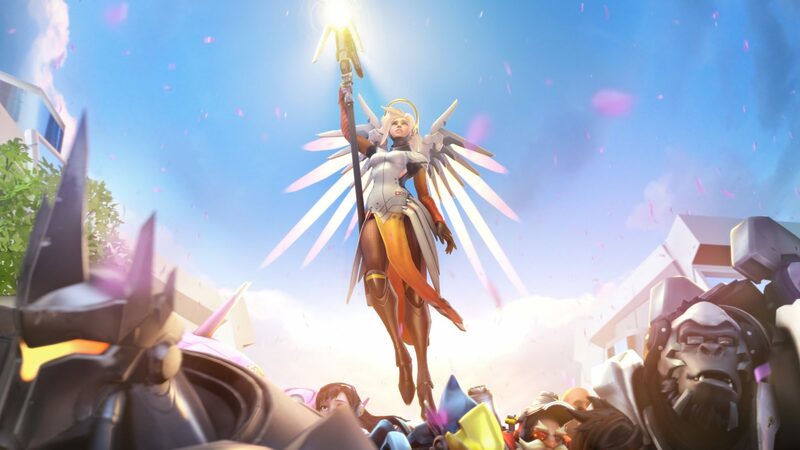 Enjoy overwatch mercy wallpaper. 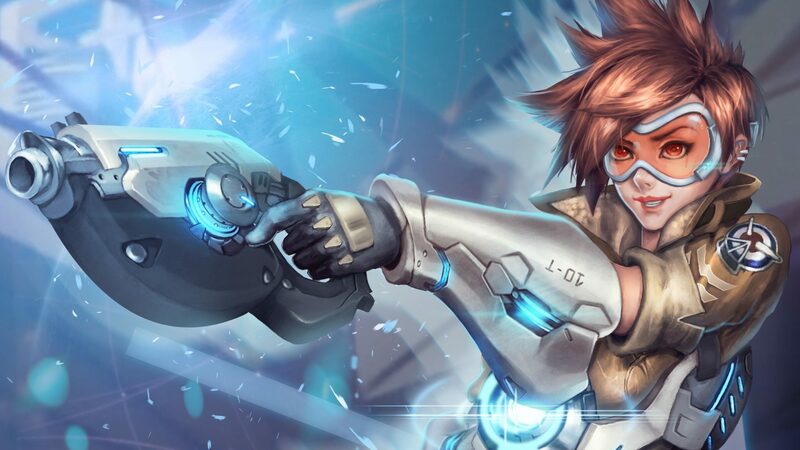 The character Tracer has an offensive Role in the game. Real name is Lena Oxton. The main weapon of the character is Twin Gun. 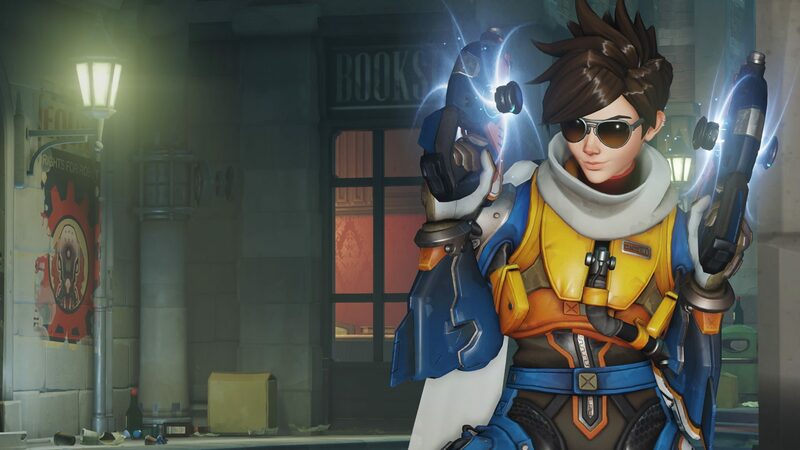 The main abilities are Pulse Pistols, Blink, Recall, and Pulse Bomb. 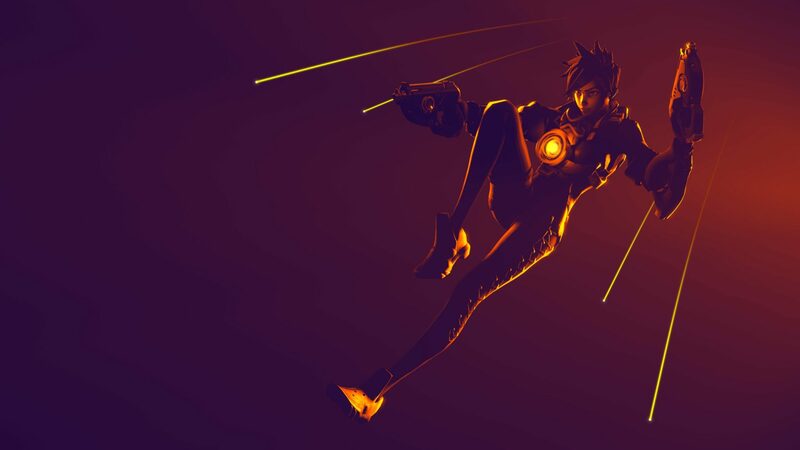 Enjoy Tracer overwatch wallpaper. 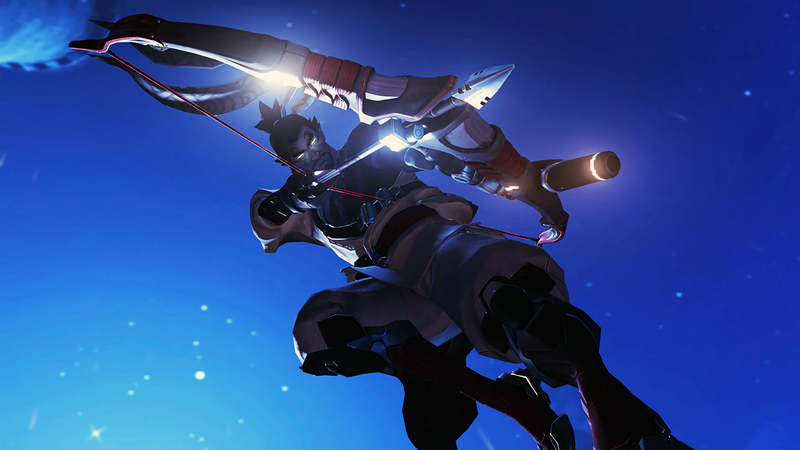 Hanzo is a powerful character whose role is Defence in the game. 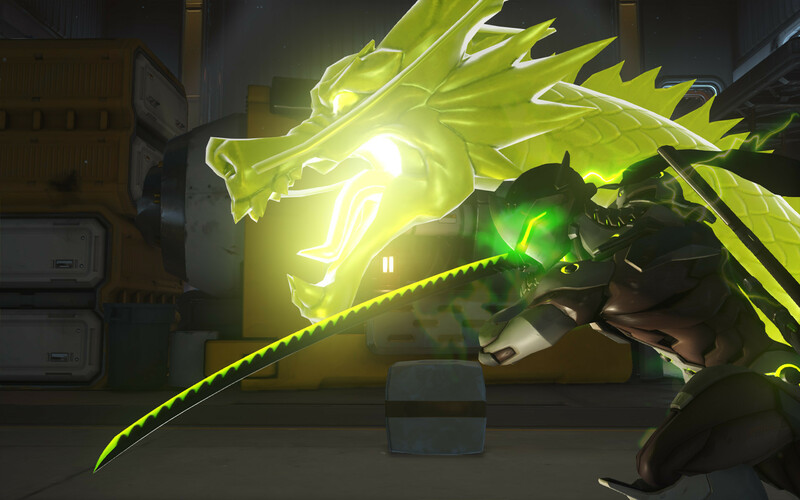 The real name of Hanzo is Hanzo Shimada. 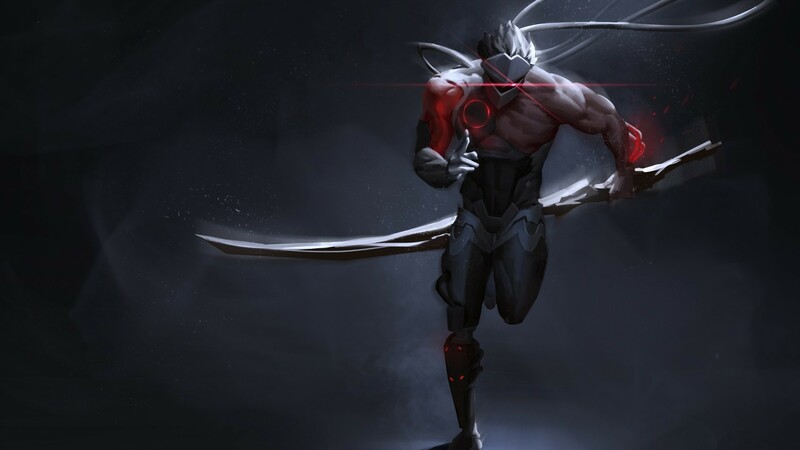 The main weapon of Hanzo is Arrow. 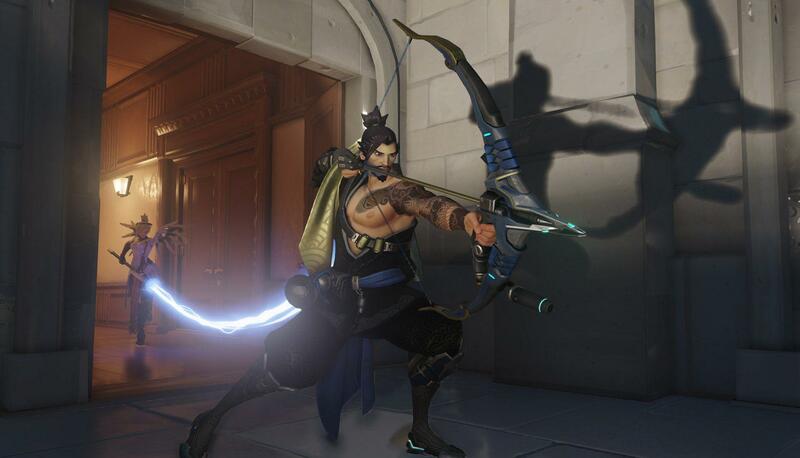 Hanzo uses abilities such as Storm Bow, Sonic Arrow, Scatter Arrow, and Dragon Strike. 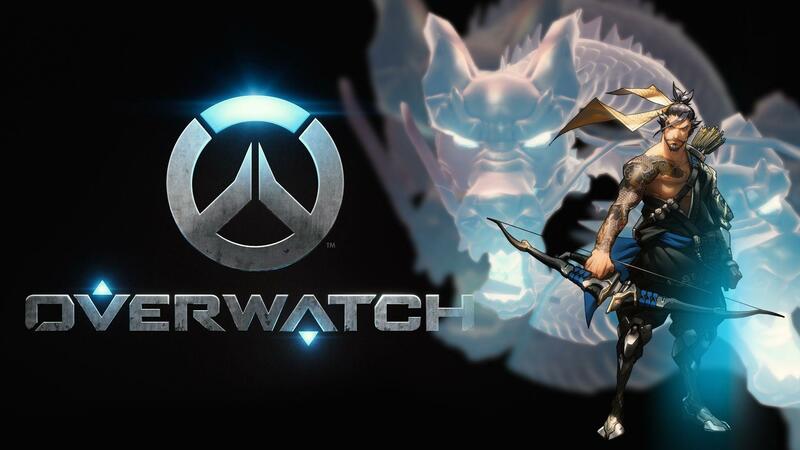 Enjoy Hanzo overwatch Wallpaper. 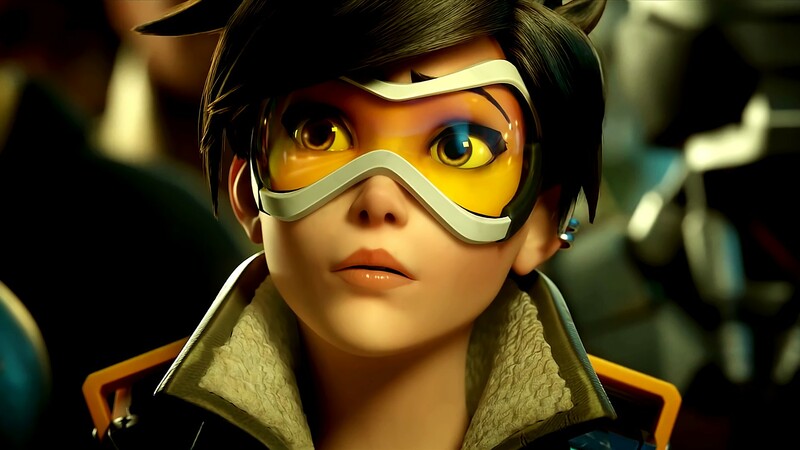 D.Va real name Hana Song plays the Role of Tank. 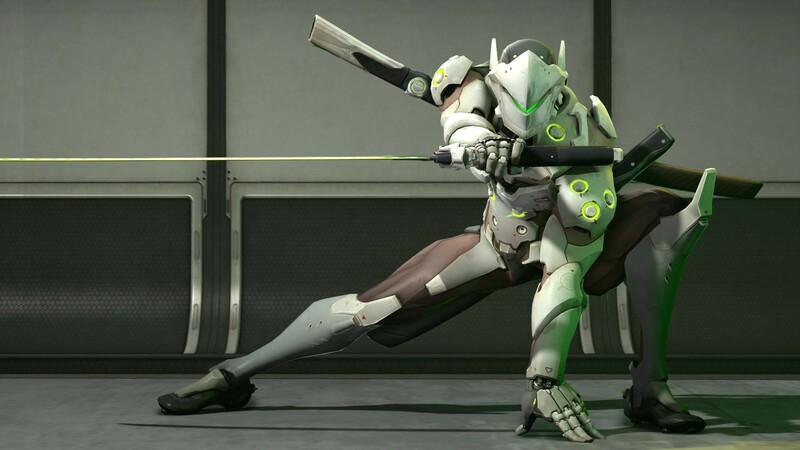 The main weapons of D.Va are Gun and a Mech. 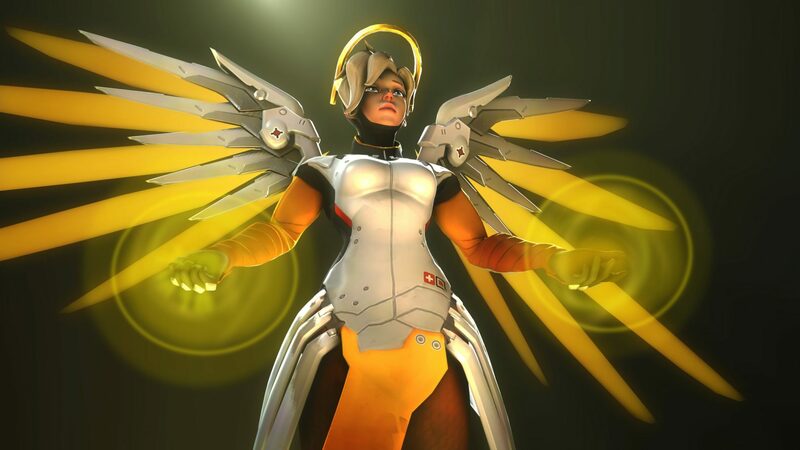 She mostly uses her mech to perform most of her abilities. 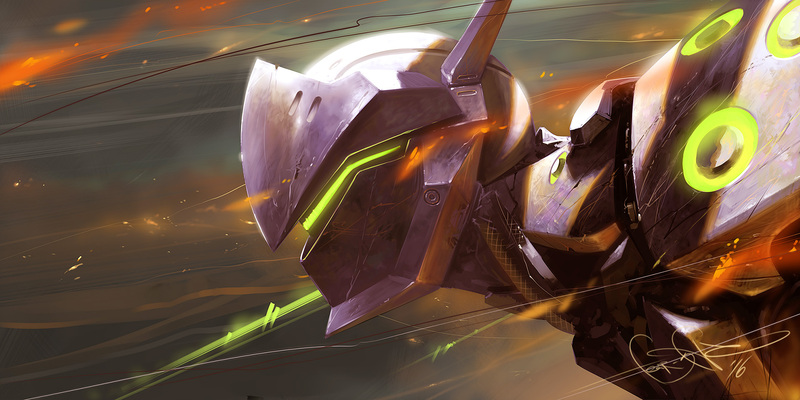 The main abilities are Fusion Cannons, Light Gun, Boosters, Defence Matrix, Micro Missiles, Self-Destruct, and Call Mech. 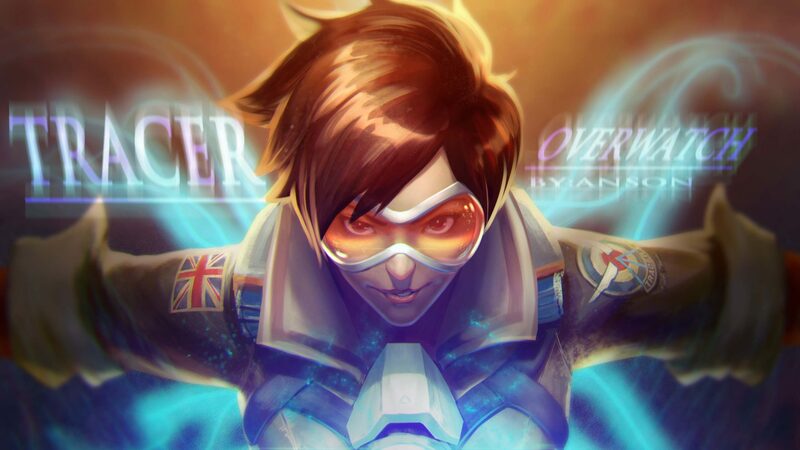 Enjoy D.Va overwatch wallpaper. She is an offensive player with a higher difficulty level. 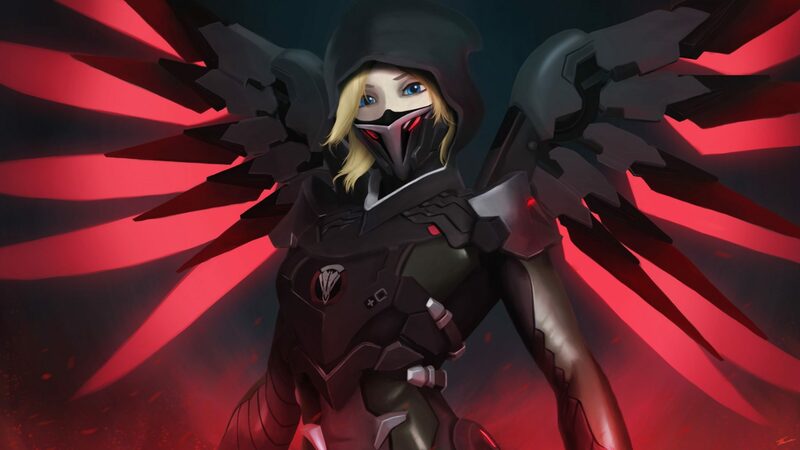 She is a well known Hacker in the game. The main weapons are Gun and Hacks. 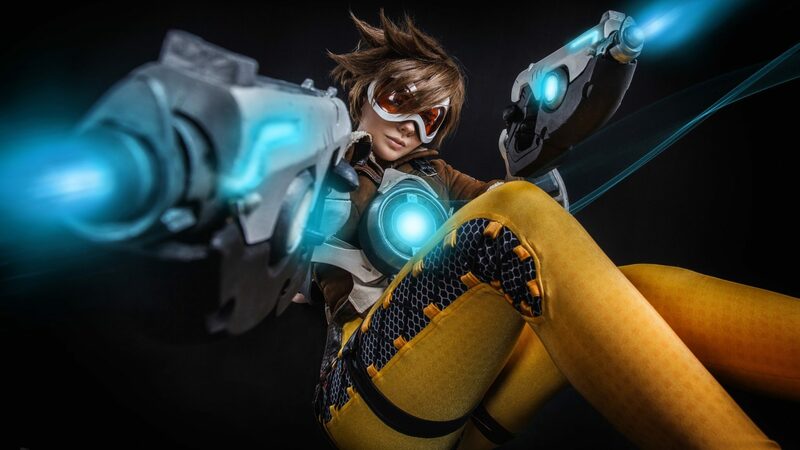 The abilities of the character are Machine Pistol, Hack, Stealth, Translocator, and EMP. 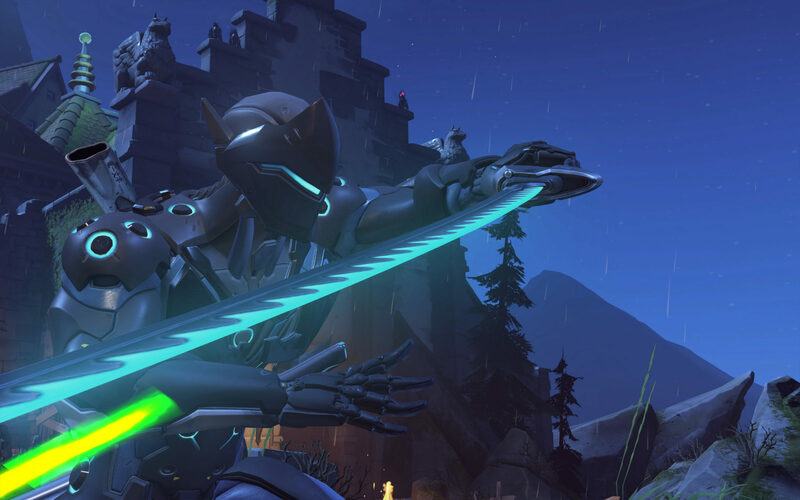 Enjoy Sombra overwatch wallpaper. 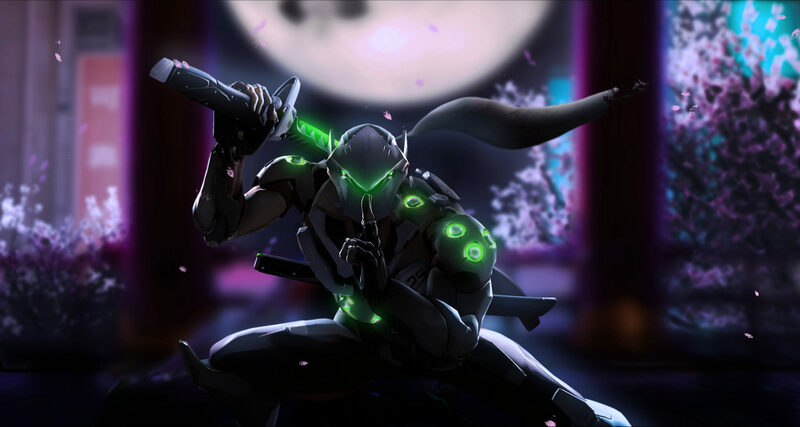 This is the list of 40+ Ultra HD wallpapers for download. Download your favorite one and Let us know in the comment section below. If like, Share it with your friends. 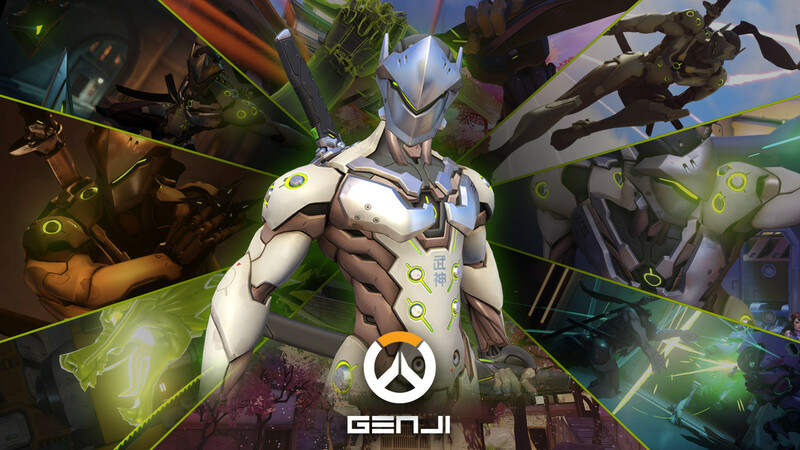 Here is the Batch file for all HD overwatch wallpaper.